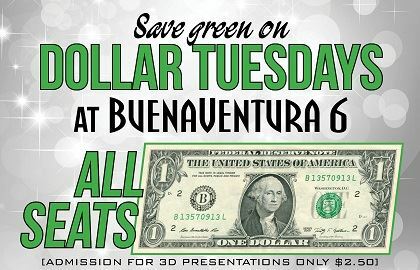 For all you bikers out there ballin' on a budget, or anyone looking for an inexpensive family night out on bikes, BikeVentura is asking you out! Join a family-friendly ride to cheap tacos, and an even cheaper movie at the Regency Theater. We've got a mellow route, and good food, and we'll just have to see about the movie. We'll ride out from the HUB around 5:30pm, down to the Pier to enjoy their Taco Tuesday Special: $3 Taco Plates. Thanks to a recent BikeVentura Scavenger Hunt ride, we also know they have the cheapest can of beer in downtown VTA ($2 Modelo (optional)). Then we'll ride over to the San Nicolas Bike Blvd, drop down to Channel Dr, and take Market St up to the Regency Theater, where it's $1 Movie Night. Depending on the makeup of the riders, we'll watch the most family friendly movie being screened that night! Families - ride with a group for safety, learn new routes more friendly to bikes, couples - bust out your tandems for cheap date night!! !